During the third quarter, there were 20 visits to the website from the Seattle metropolitan area. Those users visited the Home Page, Amita Healthcare Blog Post, Major Employers, and Western Access O’Hare. 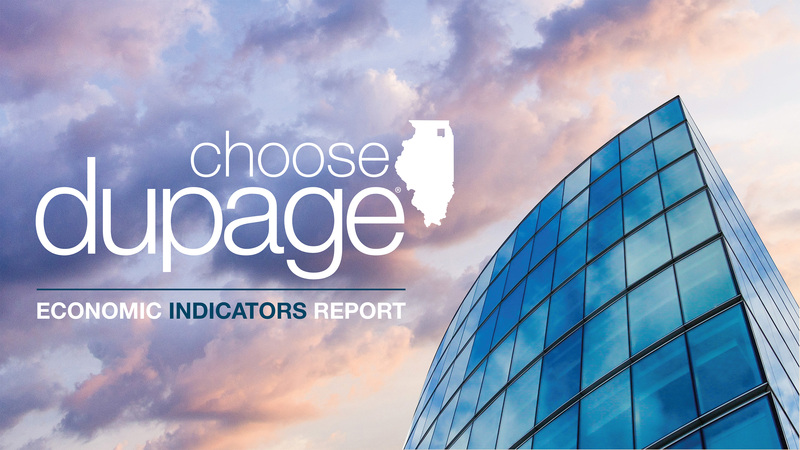 Choose DuPage has released its 2017 Third Quarter Economic Indicators Report showing continued growth in DuPage County’s industrial market. Job creators and entrepreneurs are choosing DuPage County to build and expand their operations, while unemployment rates consistently remain lower than both state and federal levels. Data suggests DuPage County offers a business-friendly environment for a variety of industry sectors. DuPage County has sustained one of the lowest unemployment rates in the Chicagoland six-county region at 4.4 percent, lower than both Illinois (5.2 percent) and United States (4.5 percent). Industrial vacancy rates dropped another .2 percent from last quarter to 5.2 percent; DuPage County continues to have the lowest industrial vacancy rate in the region. DuPage County‘s current top job opportunities include positions in computers and mathematics, management, office and administrative support, sales, healthcare practitioners, business and finance, and transportation. In addition to continued industry growth and steady absorption of both office and industrial vacancies, DuPage County is poised for the opportunity to welcome Amazon’s HQ2 to the region. Choose DuPage is working closely with the Illinois Department of Commerce & Economic Opportunity (DCEO) and Intersect Illinois as part of the regional effort to bring Amazon’s second headquarters to Illinois. Low taxes and operating costs, strong labor demographics, an educated and skilled workforce, proximity to hotels and dining, as well as shopping, golf and recreational activities are just a few of the benefits DuPage County hopes will attract continued business development for the region. The Illinois Department of Commerce is pleased to announce that as of today – Tuesday, October 3, 2017 – applications for the new EDGE Tax Credit program are being accepted. As you are aware, EDGE is a critical local economic development tool that incentivizes job creation and helps attract investment to every corner of Illinois. Last month, Governor Rauner signed House Bill 162 to extend the EDGE program through June 30, 2022. The legislation also made important changes to modernize the program to better serve businesses while offering more value to taxpayers. After a thorough review of the new provisions, DCEO has submitted revised rules to the Joint Committee on Administrative Rules (JCAR). This move allows the Department to begin accepting new applications immediately. Please note that any new agreements entered into during the JCAR process will be subject to amendments based on final rule approval. A copy of DCEO’s submitted rules can be found on our website. If your company is interested in applying for an EDGE Tax Credit, please reach out to the Department at CEO.EDGE@illinois.gov. Further updates will be provided as the rules process progresses. Thank you for your continued support of the Department. Brisa Mobility is a Portuguese-based technology company that makes all the technology inside toll booth machines. They have been awarded a contract with the Illinois State Tollway Authority for new toll machines. Brisa will be working with another DuPage company to produce the machines, Elite Manufacturing. Amita Health is a healthcare network looking to consolidate its headquarters in Arlington Heights along with other facilities into the Navistar Campus in Lisle. The lease will be 225,000 SF. Currently, the project is being held up by a parking lot issue with the Lisle Village Board. Click here to view a letter from John Carpenter to the Lisle Village Board in support of the project. This company is looking to relocate their facility in Texas to Illinois. The facility would be for small training aircrafts. The project is challenged with the fact that the DuPage Airport does not have the type of fuel needed for their aircrafts. This project is an Italian manufacturer of industrial machinery and mechanical components. With existing facilities already here, the company is looking to expand in the region. They plan to select a facility by December 2017 and occupy by March 2018. Location: Seeking a location near a major metropolitan area, close to an airport, with access to tech talent. Amazon is seeking 100 acres for their second headquarters facility that will allow them the ability to build up to 8 million SF of office space. DuPage County has joined a regional effort and submitted two locations: the DuPage Business Center in West Chicago and the McDonald’s Campus in Oak Brook. The McDonald’s Campus in Oak Brook has been selected as one of eight potential sites that were submitted to Amazon. Please allow me to express the support of the Choose DuPage Economic Development Alliance for Village Board approval of the ordinance permitting modifications to the Navistar North Parking lot. It is our view that the approval of the minor modifications requested are more than justified by the benefits which would be realized by Amita’s headquarters relocation. The jobs and associated economic activities generated by the headquarters relocation will result in long-term, positive economic benefits for the residents of Lisle. Opportunities such as this are not common and should be viewed as a rare opportunity to positively impact the lives of your residents and the financial well-being of your village. Choose Dupage respectfully urges the Village Board of Trustees to approve this ordinance.